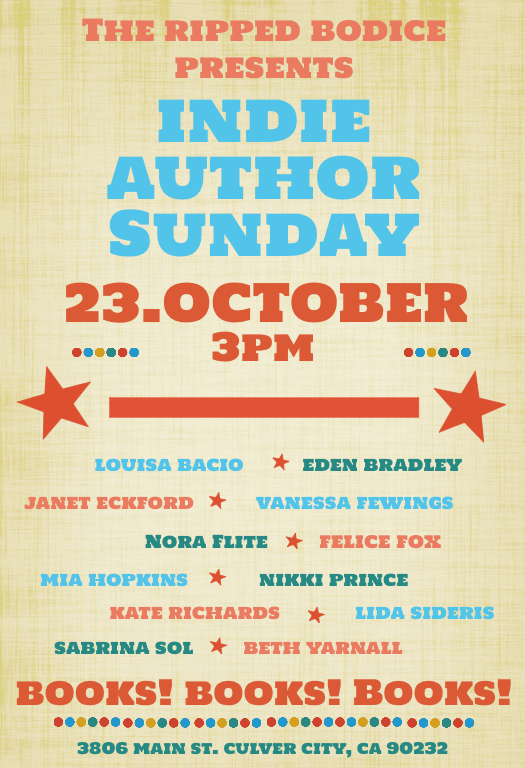 This is just a quick post to let you know I'll be signing at Indie Author Sunday! Join me and 11 other authors at The Ripped Bodice bookstore right here in Los Angeles for an afternoon of romance and happy-ever-afters. The signing will take place on October 23, 2016 at 3PM. I'll be signing print copies of Deep Down and my next release Cowboy Karma, out Oct. 18. That's right! Cowboy Karma will be my first cowboy book available in print. I'm thrilled. Hope to see you at Indie Author Sunday!